October is here, and it’s fair to say that the time for shorts and T shirts is over for 2017. The temperature drop means that guys are switching over to jeans and jumpers. That’s where this week’s blog comes in. We’ve picked out some of our favourite denim and knitwear for your consideration. Use the offer code OCTOBER1 at online checkout to claim a 10% discount on the following garments. We’ve been selling the Waykee fit for 13 years — it’s that good! 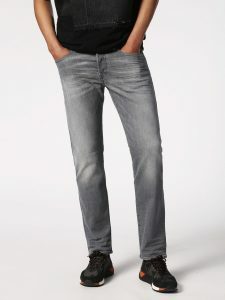 A classic straight-fit jean from knee to ankle, Diesel have brought in a new Dark Raw wash. 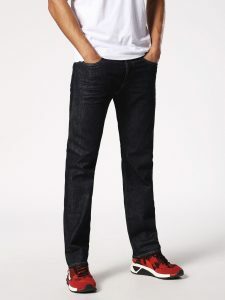 Perfect for a smart outfit with a shirt, or a casual look with trainers. 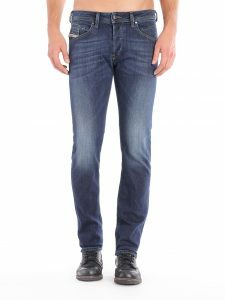 The Buster is consistently among our best-selling jeans, with its classic tapered fit that caters for “athletic” leg shapes. This seasonal Grey wash meets the Autumn/Winter trend for darker denim, and goes with pretty much everything in our shop. 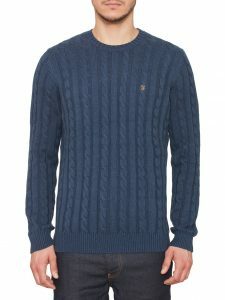 Made from 100% lambswool, this seasonal jumper boasts a lovely soft handle — as well as being remarkably lightweight. 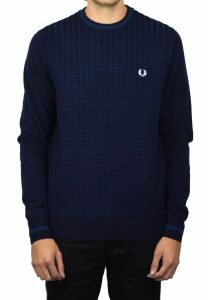 The “waffle” pattern truly stands out from the crowd, making it one of Fred Perry’s best seasonal arrivals. Using prime Australian lambswool and boasting a wonderful soft handle with remarkable warmth, it beats any man-made fabric hands down. Pick from a wide colour range, including Claret Marl (pictured). 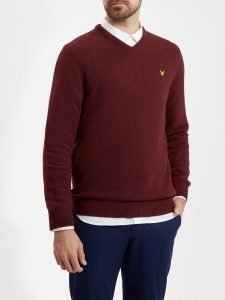 This traditional cable knit jumper boasts a classic design that will never let you down. The wool-rich fabric is chosen with warmth in mind. This gorgeous Yale colour is new for AW17, and works well with any pair of jeans. Also available in Light Sand Marl and Charcoal Marl. Remember to use our offer code OCTOBER1 at the checkout for 10% off all jeans and jumpers!